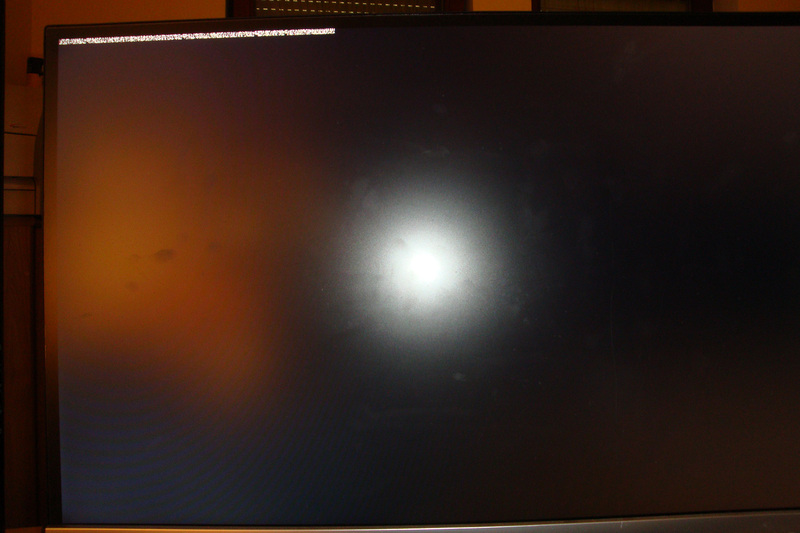 This post is for Steve Si regarding the “E2B.cfg is MISSING” error with Easy2Boot. I have four identical hard drives which have been removed from a QNAP NAS. I hooked them up on a PC and tried booting into Knoppix with E2B in order to access the four drives. This resulted in the above error. 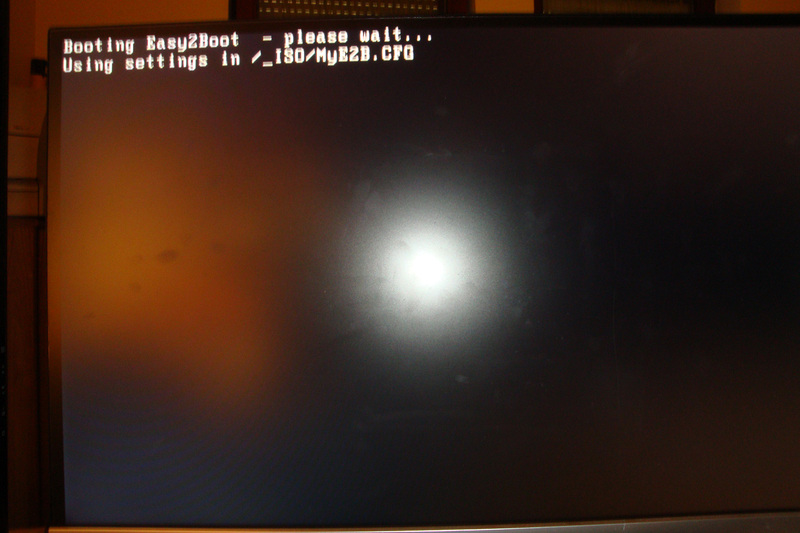 Easy2Boot v1.80 was installed on the USB stick. After pressing Enter, an unreadable line appears at the top of the screen (some strange white pixels – see screenshots at the end). Booting into Knoppix from DVD works. The four drives form a Raid 5 volume. Once Knoppix is booted (from DVD), the raid volume can be attached with mdadm –assemble –scan just fine. Just as Steve said, the problem has something to do with the hard drives (or their partitions). E2B boots fine from USB after detaching all four SATA cables. The PC has four SATA ports. I tried connecting them in different order and realized that only one of the four drives is causing this error. I don’t know why only this disk. All four should be the same since they are from the same raid array. The drives were physically labeled 1 to 4 with a felt pen. The drive which causes the problem is called drive 3. The drive has four partitions. 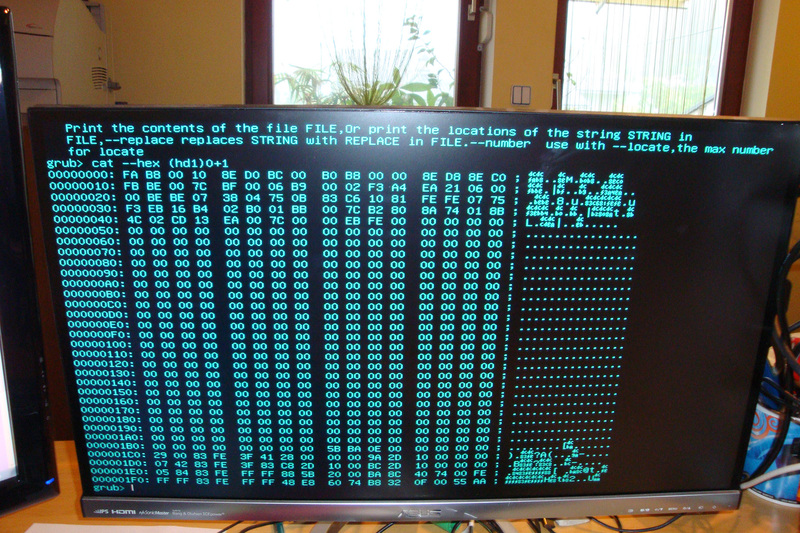 In order to make the problem reproducible for others, I created an image of the whole drive. Since the drive is really large (1TB) I filled most of the partitions with zeros. Except the first 64KB and the raid superblock at the end of each partition. That way, the drive is almost empty and compresses down to about 1MB. I verified that the image with the deleted parts is still causing the error by writing back the image to a different disk. Now the other disk is also causing the problem. NOTE: On my first try, I filled all of the partitions except the raid superblocks with zeros. This image did not cause the problem. So on a hunch I left the first 64KB of each partition. So whatever is causing the problem, has to do with some data at the beginning of one ore more partitions. I did some further experiments. Firstly, the raid superblock had no influence. The problem persisted even after overwriting them all with zeros. Then I removed partitions one by one from the partition table. That lead to the fact that only the third partition caused the problem. The third partition is unfortunately the largest partition with about 930GB. So I created a new disk with a single small partition which contained only the troublesome beginning 64KB of the former third partition. Here I found out that the problem goes away when the partition is too small. I don’t know the size limit though. The problem was showing up again, once I set the size if the partition to nearly 1TB again. I was now even able to reproduce the whole thing inside a VirtualBox VM. I created a sparse vdi of about 1TB. Since it’s almost empty though, it only uses a couple MB on the host machine. 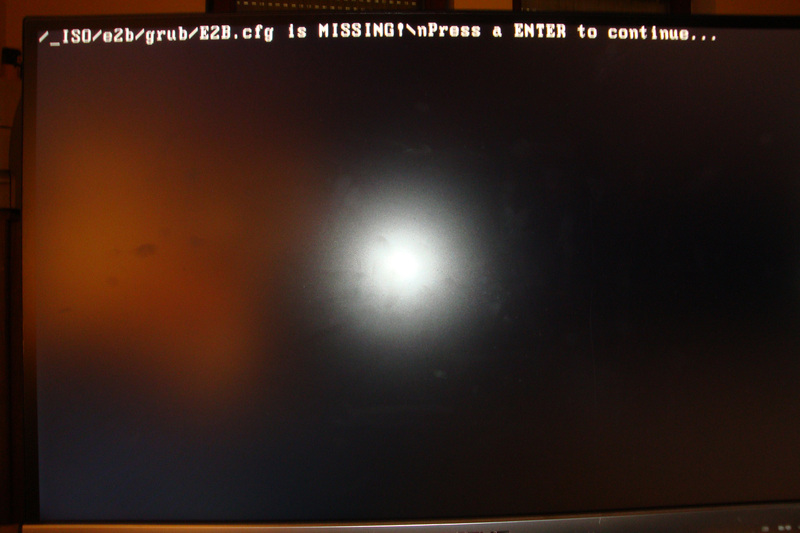 Once E2B is booted with Virtual Machine USB Boot inside VirtualBox, the error message appears.